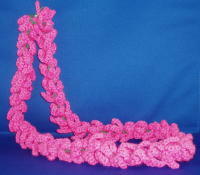 my mother-in-law learned how to make real flower lei. 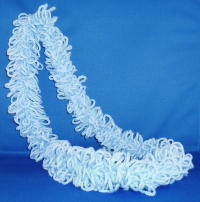 It's a nice way to use up yarn. 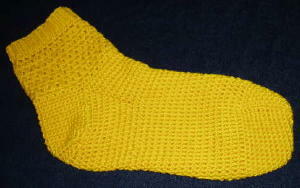 My first and only pair of socks. 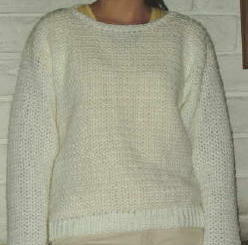 It's a Needlecraft Univeristy pattern. the foot is too big, the cuff is too small. 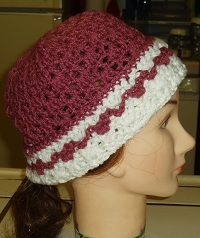 Two hats I made for charity. I can't remember what pattern I used. 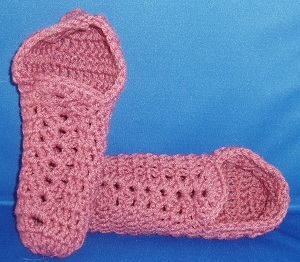 My one and only pair of crochet slippers. It's a pattern I found on the web when I first went looking for patterns. 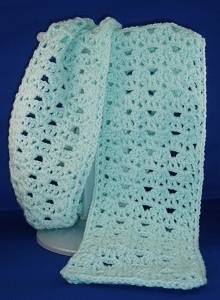 I really enjoyed making this scarf. 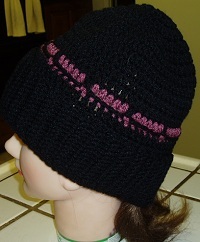 The yarn was nice and soft and the color just seemed perfect for the pattern.